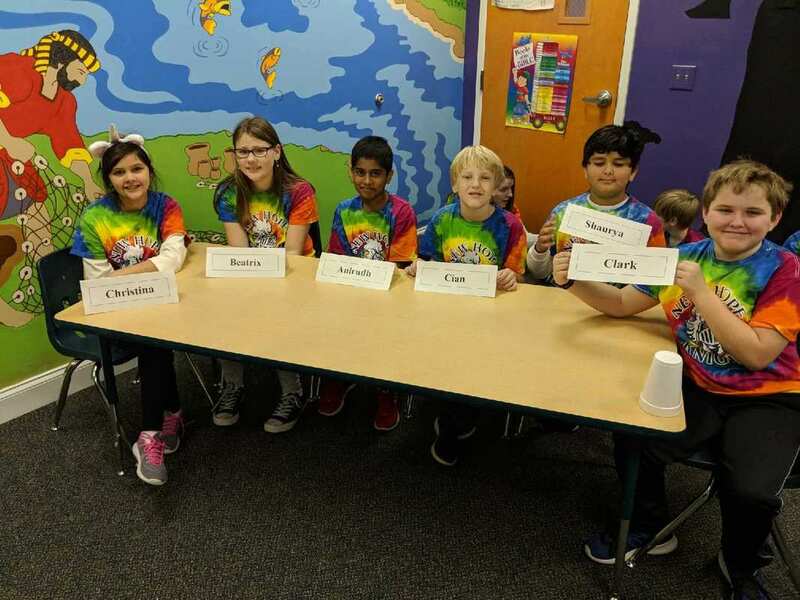 Battle of the Books is designed to promote a love of reading among our students. It encourages students to read a variety of books and remember information about the plots, characters, and settings of the books. A competition is held amongst other elementary schools in the spring. ﻿BOB team members meet Mondays after school until 4 pm. ﻿Our county competition will be held in March. New Hope's BOB team during the competition! 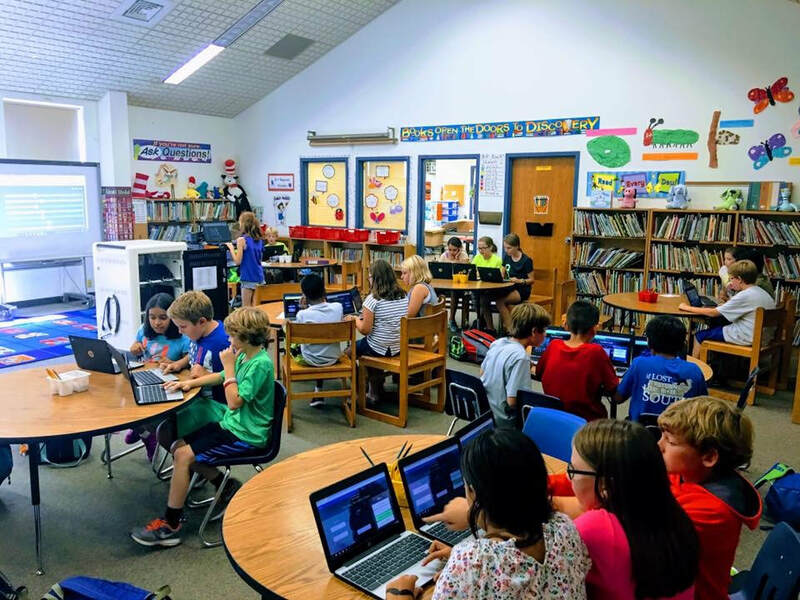 Battle of the Books gets some practice using Quizlet Live! Log into MyBobTeam using your username and password. ​You can use this site as a practice for the real competition. Members should have taken a comprehension quiz on each of the books read!